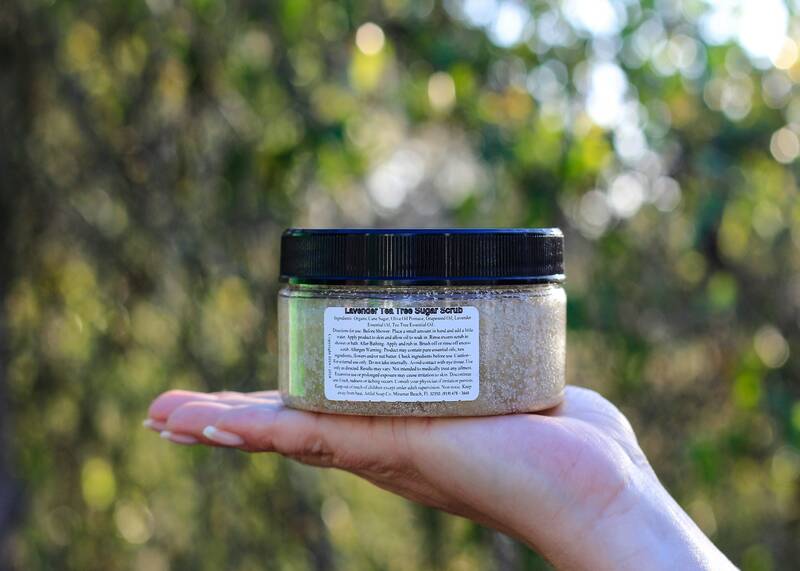 Rapidly becoming one of our most popular scrubs. 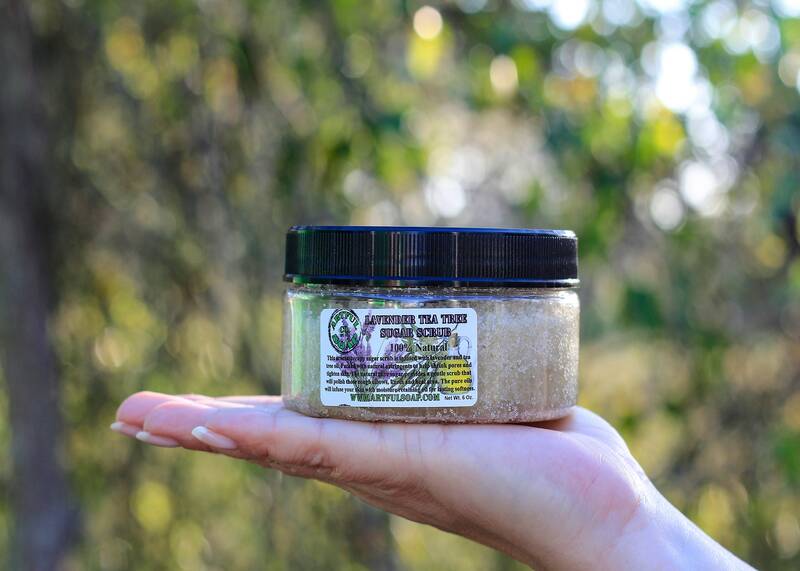 We added a little tea tree oil to our lavender scrub. This adds a sharpness to the lavender that is hard to explain without smelling it. So, grab one today and find out why this item is so HOT! 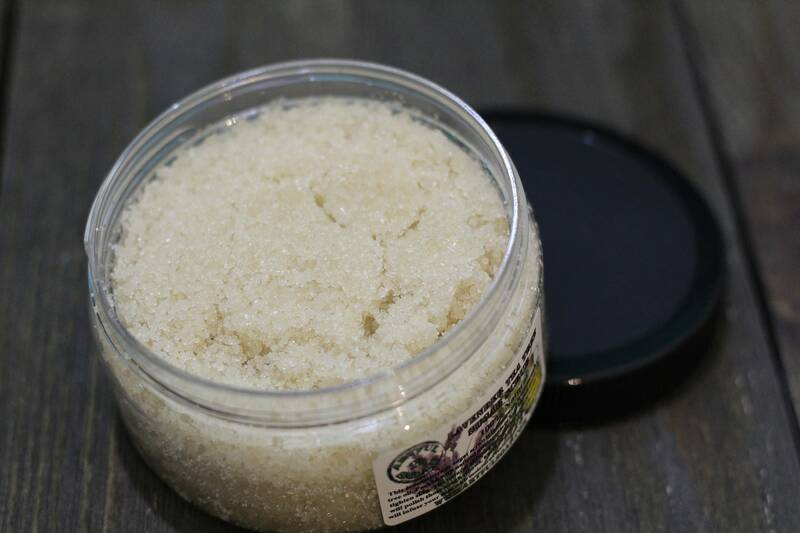 Ingredients: Organic Cane Sugar, Olive Oil Pomace, Grapeseed Oil, Lavender Essential Oil, Tea Tree Essential Oil. 8 oz. net wt.